Sweet creamy pistachio ice cream flavor loaded with sweet nuts, but no shells. For a refreshing alternative, escape the daily grind and enjoy your next cup of Pistachio Ice Cream coffee – iced! If you like Pistachio Ice Cream you will love this coffee! Try it iced or hot, it’s DELICIOUS! 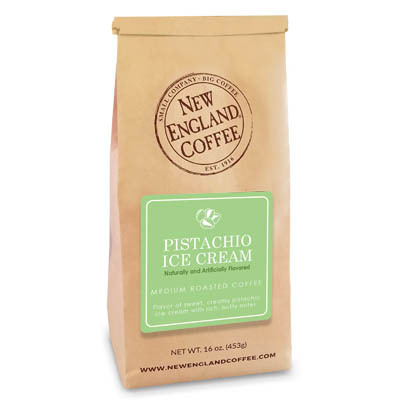 This was my summer coffee however I now drink it all year..
Of course I still drink New England Colombian regularly as well as Blueberry Cobbler & Tropical Coconut but the Pistacho Ice Cream flavor-AWESOME! Has anyone tried the Peach? My favorite coffee, wish it was available in K-cups, I would buy 2 cases. Great taste even black! The best coffee I have ever had in my young life. Please make this into K-cups I will buy them all. Omg I’ve died and gone to heaven! I tried this for the first time today over ice. It’s BEYOND delicious. With a little splash of half and half, I feel like I’m having something so indulgent. The flavor is perfect. Please please PLEASE make this into the single serve cups!!! I would love to try many if your flavors, but they don’t come in kcups!!!! I love the blueberry. Would love to try pistachio in kcups! 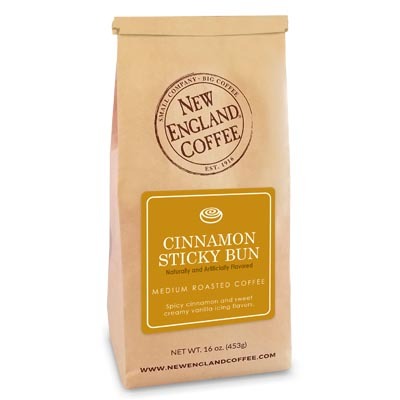 This is our all-time favorite New England coffee! We were disappointed that it is not currently being sold, but we’re very hopeful it will be sold again since it is a seasonal coffee. It’s the best!! My new favorite flavor. Not bitter. Light, creamy taste and a definite floral pistachio aroma. Please, please, please, plan to offer in k-cups!!! One of my very favorite flavors of all time! I always look forward not only to sipping this lovely pistachio delight, but also the scent when I open the bag. Ahhhh – delicious!